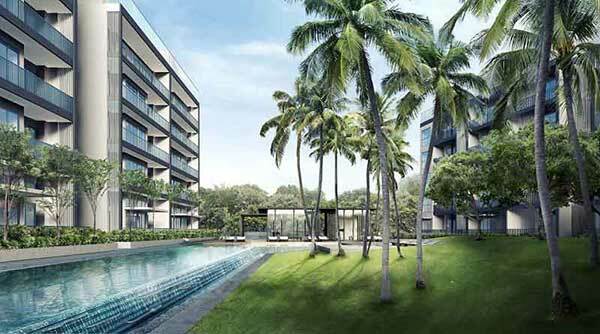 Village @ Pasir Panjang offers a new Freehold Condominium located at Pasir Panjang, Singapore District 05. Consists of 148 residential units with unit mix of 2 bedrooms, 3 bedrooms, 4 bedrooms, and penthouses. Village @ Pasir Panjang has a total land area of 107,876 square feet and is possibly the biggest freehold land within the vicinity. TOP expected to be in 2016. A state-of-the-art condominium that offers advance luxurious community living with latest and stylish facilities and picturesque landscapes where places of interest like shopping malls, work, schools, and business centers are within close proximity for the young discerning families who look for rejuvenation and comfort and wish to live in a secured, serene, and exclusive shelter in a time of exclusive living options in the metropolis. Developed by renowned developer, Champsworth Development Pte Ltd, Village @ Pasir Panjang will features a various blend of resort-inspired facilities such as lap pool, tilted lawn, latest and powerful gym facilities, function room, and even the relaxing view of the luscious gardens surrounds the property. Each facilities will surely help the residents to take time to relax and rejuvenate after an exhausting day at work. It’s like everytime you come home, you’re on a vacation. Village @ Pasir Panjang are nearby shopping malls like The Clementi Shopping Mall, Clementi Shopping Centre, and West Coast Plaza. Supermarkets and leading grocery stores include NTUC Fairprice, Market Place @ North, and Cold Storage are just a short drive away from the property. If you love jogging, this could be the best location where to stay, beautiful and heavenly view of Clementi Woods Park and Kent Ridge Park are right at your doorsteps. It’s a great place to walk or run, hang out, go walk your dogs, and enjoy the sunshine. Village @ Pasir Panjang is a perfect environment that developed luxury and creativity, to cherish ties with old friends and new neighbors by giving a space where people and passion come together. 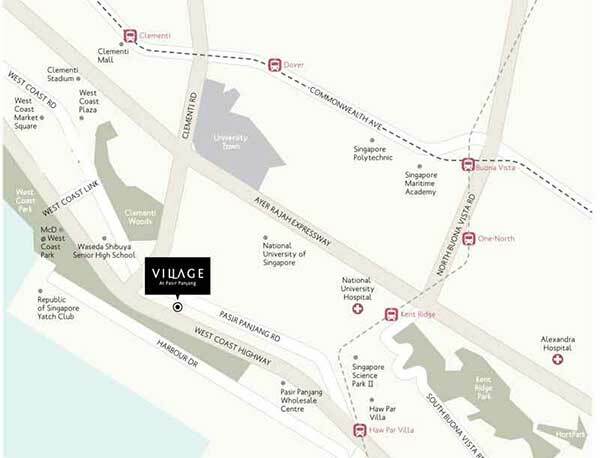 Download Village @ Pasir Panjang floor plan and brochure here. One can move anywhere in the city in just a few minutes as MRT stations are just a short distance away from the property include Haw Par Villa MRT and Kent Ridge MRT. Village @ Pasir Panjang location is highly accessible via major road and expressways such as West Coast Highway, Ayer Rajah Expressway (AYE), and Central Expressway (CTE). Village @ Pasir Panjang is within close proximity to top educational institutions such as Nan Hua High School, Kent Secondary School,Kent Ridge Secondary and some international schools include Shibuya Makuhari Senior High School, National University of Singapore, ITE, Singapore University of Technology and Design, United World College of South East Asia, International Community School, Norwegian Supplementary School, and Dover Court Preparatory School. An excellent location that allows its residents to learn, play, and work at their own pace, thereby enjoying leisurely lives. 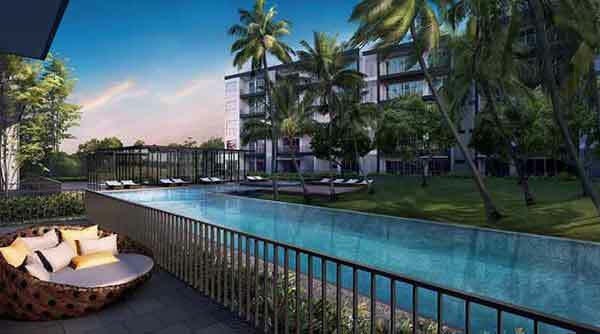 Village @ Pasir Panjang Price attractively priced to sell.